This week is the time of the year when we in the US take a break from our busy lives to express Gratitude. I have plenty to be thankful for this year. Gratitude is a positive emotion we feel in acknowledgment of a benefit we have received. Saying “Thank You” is the way to express that emotion which is the basis of life in community. It recognizes that we depend on one another to live, to be ourselves. In my native Portuguese, we say “Obrigado“, which is not my favorite expression because it equals gratitude with indebtedness. Literally, it says “I owe you something”. As we evolve towards a world where stronger relationships are people-to-people rather than people-to-organization, gratitude has to be more like love and less like indebtedness. With that in mind, I would like to say Thank You for reading, agreeing or disagreeing, providing feedback and teaching me through interaction this year. 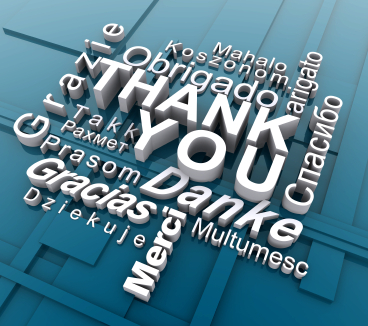 Here is a list to say Thank You in other languages. In 2015-2016, I joined Graava, a startup project designing a consumer camera. On Aug 5th, 2015 we run what was arguably the most successful (from a media exposure perspective) marketing launch for a crowdfunding HW project to date. We were hoping for significant coverage, but what we got surpassed all expectations. Graava was featured in every major mainstream and technology media outlet, including TechCrunch, Wired, Forbes, The New York Times. We were also on broadcast TV a few times. A partial (but impressive) list of links to coverage is below. So, why did the Graava project eventually fail? (of course, this is just my personal analysis). Graava was ahead of a wave and identified and proposed a solution for a real problem: automate the edition of video footage using data and AI. GoPro, Google, Apple among other have later introduced similar capabilities in their platforms. We selected to launch a hardware product because of the appeal of a physical device. Graava was part of a broader market experiment with using crowdfunding to validate the demand for a hardware consumer product, and then using that validation to raise venture capital to produce and deliver the product. That model has failed. Graava raised a couple million dollars in seed money from angel investors and built a camera (I have pre-production units), but failed to raise the additional funding necessary to bring the product to market. It returned all the funds from the crowdfunding campaign to the users, switched to focus in software and launched an IOS/Android App in 2016 that delivered the same functionality using smartphones. The App was featured in the Apple store, but failed to gain the traction needed to create a viable business model. The project was discontinued later in 2016. Pebble was probably the earliest and arguably the most successful example in the consumer HW/crowdfunding model. They were early in the smartwatch wave and actually delivered a couple of generations of products before going under. Post-Graava, late in the cycle, Lily is said to have sold 60,000 drones (at $500-$1000 each) and raised $15M from major VC firms before failing without delivering a product. Between those two, a long list of projects also failed. Coin and Navdy are two high-profile examples. ABC7 News interviewed us for the evening news. See video. TechCrunch interviewed us for the launch. See video. TechCrunch Crunch Report also featured us. See video (6 min mark). We were on prime time broadcast TV also in Brazil: See video. Re/code – Editing Makes Good Videos Great. Can Computers Do It Better Than Humans? Poker News – GRAAVA’S NEW ACTION CAMERA EDITS VIDEO FOR YOU. YES. IT DOES. The valuation of a startup is the value of the company at the moment when the first round of venture capital is raised. Valuation should not be the focus of the early stage entrepreneur. For more on that, please read on. Am I ready to talk to a VC? If VC’s are willing to talk to you, go ahead and talk to them. But the conversation will have tangible consequences only if your startup is at the stage of development for a VC capital investment. Users – Your B2C service has millions of users and that number is growing exponentially through social propagation. The target audience is everyone in the world. There is no business model, but who cares? You are the next Instagram. Traction – Your project has a significant number of users (hundreds of thousand for B2C, several customers for B2B) and at least one business model for monetization has been validated (advertisement, commission, subscription, sales, etc.). Your startup is not a website, it is a business. Innovation – Your project includes Innovation with uppercase “I”, that is applicable to the solution of a high-value concrete problem. The innovation is either protected by patent or is very difficult to replicate. You’ve invented teleporting. Resume – You have a well-formed project and a team that has previously created other companies that were successful and generated return to investors. Those investors are willing to offer capital even before the previous criteria are satisfied. The details of the criteria above might vary slightly from a VC to another, but there is no magic. Note that VCs are professional investors investing capital from a fund that received money from other investors. The VC investor does not own the money and can only invest if they can model it based on the goals of the fund. If none of the criteria above is satisfied, the valuation of your startup has no valuation. But that should not be cause for alarm. It is the case of the vast majority of the startups. It doesn’t mean the project is wrong or has no future. It only means you need to execute further before its value creates a valuation. If you need capital to execute before there is a valuation, you will need seed money, normally a smaller amount enough to run the company for a few months, provided by an Angel Investor. While it is fun to guess numbers, there is usually no need to define a valuation to raise seed money. The angel investor usually receives convertible notes in exchange for the investment. Simply put, a convertible note is a loan denominated in dollars (often including interest and discount clauses) that is converted in equity participation if and when there is a first round of venture capital investment (when a more concrete valuation is defined by a professional investor). Ok, got it. But what if I still want to guess what valuation I can get for my company? The definition of a valuation at the raising of venture capital will take in account the structure of ownership (how many founders, how many key people) and the amount to be raised (which is a function of the money needed to execute as well as the preferences of the fund). The investor must believe in the project and the team, so it has vested interest in keeping the team committed and motivated. There is no incentive to squeeze the entrepreneurs by defining valuation that is too low. So the actual valuation is based on real market perceptions, but ends up being a number that makes the round viable and a win for all parties involved. 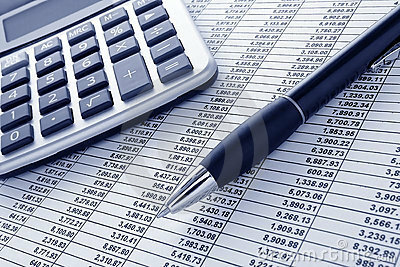 Financial – If you have a solid business plan, valuation can be calculated based on the execution risk and the projections of revenue and profit and a possible sale or IPO. Because execution risks in early stage are very high, it is virtually impossible to achieve much confidence in a number. Normally, the investors try to model this, not the entrepreneur. Market – VC investments usually become public information. You can estimate your valuation based on the valuation of similar companies in similar stages of execution that are receiving professional investment. Opportunity Cost – Calculate the amount of the time and effort applied to the project and estimate what would be its value if that effort was applied in a well established business. This is the cost of opportunity of your project. This number is irrelevant to the investor, but can be useful for the entrepreneur to continuously monitor the viability of the project (the cost of opportunity must be always below the valuation one hopes to achieve in the future). This trip on the first half of Aug/2014 was my first time in Cambodia. If you are reading this and considering whether or not it should be in your bucket list, I say: go for it! The impressions you find below are from the perspective of a relatively seasoned traveler who is used to explore unknown places wearing a backpack and who had been to SE Asia multiple times before. We were four travelers (my friend Isa from California, and Cameron and Lester from New Zealand – I did not know them prior to this trip – Isa did) with coordinated itineraries for transportation, but not committed to doing the exact same things. We stayed in nice hotels (so it was not a backpacking trip), but most of my activities were local and close to the ground. Our itinerary: 2 days in Phnom Penh (the capital, a typical SE Asia bustling city), travel by taxi and 2 days in Kampot (a coastal city famous for, among other things, “Kampot Pepper”), travel by taxi and 2 days in Sihanoukville (a party beach resort town), fly and 2 days in Seam Reap (where the famous temples are). In retrospect, this was a perfect first overview 8-day trip itinerary (thanks to Cameron, who had been there before and designed it), with a good balance of tourist crowds, off-the-beaten-path time, exploration and relaxation. I will take the risk of generalizing my superficial perception of a short-time visitor and say that the stronger impression on me from this trip was the fact that Cambodians are nice. But not in a casual way, like when we use “nice” as a placeholder to nothing remarkable to say. I mean really nice. A combination of grace, politeness, sweetness, sincerity, lack of judgment, openness. Perhaps gentle is a better way to express the attitude I experienced there. There, I said it, Cambodians are gentle people. Cambodians have been subject to oppression and tragedies in recent history and a significant portion of the population lives under poverty lines. It is amazing that they can live on with grace and be optimistic in situations that others would consider unbearable. When researching for a visit to Cambodia, you will read about corruption in government and police, mosquitoes, unsafe tap water, landmines, lack of infrastructure. Don’t let that deter you. Yes, going there requires some planning and precaution, but once you arrive, those things cease to be negative to your experience. You will also read that the weather is hot. That doesn’t cease to be relevant once you get there. In August, it is 33-34C for most of the time. It is the rainy season, but we were very fortunate and rain did not interfere with our trip. Perhaps surprisingly, crime or personal safety were not factors in my experience anywhere, at any time. Big city, small village, it didn’t matter. An illustrative example: we took a bicycle tour in Siem Reap. The local guide didn’t seem to understand why I was asking if it was safe to leave the nice mountain bikes parked without locks and unattended while we visited the temples. Not a reason to visit, but a nice plus if you do: your US dollar is accepted anywhere and goes very far getting what you need. 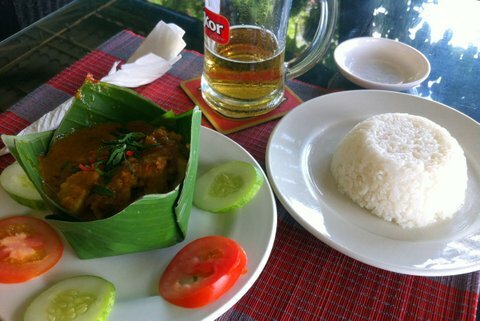 A nice meal in a posh place is $6, seafood dinner served on the beach front is $3. A beer costs 50c to $1. You can hire a driver to take you around for the whole day for $15-$20 (a tuk-tuk carries up to 4 people). A nice (I mean nice) hotel room goes for $45-$50. A beach bungalow is $20. A backpacker bunk bed to spend the night will cost you $3. Language is not a big issue. In the cities, people tourists interact with all speak English. Where English is not spoken, there is always goodwill and gestures. It is again that time of the year when we in the US take a break from our busy lives to express Gratitude (and eat, shop, etc). I grew up in Brazil and my native language is Portuguese. We say “Obrigado“, which is not my favorite expression because it equals gratitude with indebtedness. Literally, it says “I owe you something in exchange for this”. As we shift towards a world where stronger relationships are more equal and transparent, gratitude has to be more like love and less like indebtedness. With that in mind, I would like to say Thank You for reading, agreeing or disagreeing, providing feedback and teaching me through interaction in 2013.